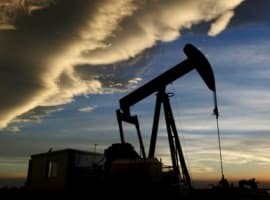 A deepening economic crisis in Venezuela and the approaching deadline for President Trump’s decision on the Iran nuclear deal combined to push West Texas Intermediate above US$70 for the first time in years. At the time of writing, the U.S. benchmark traded at US$70.45 a barrel, up by 1.05 percent from Friday’s close, with Brent crude at US$75.69 a barrel, up by 1.10 percent. President Trump is due to announce his decision on the Iran nuclear deal by this Saturday with the majority of observers expecting him to pull out of the deal and reimpose sanctions on Tehran. This would push oil prices higher, however, which Trump doesn’t want, if we are to judge by a recent tweet, in which the President scolded OPEC for manipulating prices higher. Meanwhile, bullish bets on WTI fell to their lowest since January last week for the second week in a row. That’s despite upbeat bank forecasts about oil prices and escalating geopolitical tensions, especially after Israel’s Prime Minister revealed an alleged mountain of evidence that Iran had cheated on the nuclear deal two weeks ago. Speculators, however, are wary of the possibility that these tensions have been already factored into prices, and fear that the return of U.S. sanctions against Tehran will not have a significant effect on prices. Alternatively, they may be exiting their long positions on WTI on the slim chance that Trump will not renew the sanctions, which will likely lead to a price slump. Can The Saudi Exchange Survive The Aramco Listing? 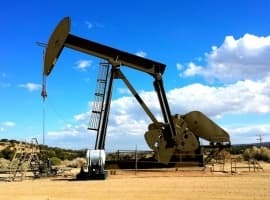 It is high time for analysts and writers contributing articles to Oilprice.com to accept that positive fundamentals of the global oil market can trump geopolitical concerns any time of the day except if there is a real geopolitical threat of an oil supply disruption in a major oil producer like Saudi Arabia, Iraq or Iran or a threat of war. The continued surge in oil prices is overwhelmingly underpinned by positive market fundamentals. At best, current geopolitical concerns could add $1-$3 to the price of a barrel of oil. Still, with the exception of the Strait of Hormuz and the Bab e-Mandeb Strait, all the other geopolitical concerns including a continued decline in Venezuela’s oil production and the probability that President Trump will walk away from the Iran nuclear deal on the 12th of May and re-introduce sanctions on Iran have already been factored in long time ago by the global oil market. So their impact on the global oil market and oil prices will be very limited if insignificant. The Strait of Hormuz is a different story. But it will not figure prominently on the geopolitical radar except if Iran is attacked or threatened by war. Then it will endeavour to mine or block the Strait. In such a situation, the impact on the global oil supplies and oil prices will be huge albeit for a short period as 17.5 million barrels a day (mbd) or 20% of global supplies pass through the Strait every day. Prices could go beyond $150 a barrel for a while. Exports from Saudi Arabia could decline by more than 50% while exports from Kuwait, Iraq, Qatar and Iran will be overwhelmingly hindered by any possible closure of the Strait of Hormuz. Saudi Arabia has the facility to export up to 3 mbd through a pipeline connecting its oilfields in the eastern areas to Yanbu on the Red Sea. Only the UAE will be able to virtually bypass the Strait as it had already built a pipeline with 1.5-milion barrels a day capacity from Abu Dhabi to Fujairah on the Gulf of Oman. The Bab el-Mandeb Strait is a rising geopolitical concern particularly for oil tankers. 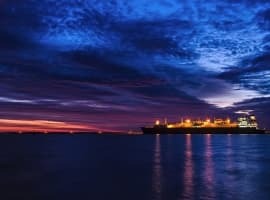 If one Saudi oil tanker is hit or sunk, this will deter many oil tankers from using the Strait thus leading to disruption of oil supplies to Europe and rising oil prices. It will be a catastrophe for global oil supplies and oil prices if both the Strait of Hormuz and the Bab el-Mandeb Strait were to be simultaneously closed or affected. Up goes oil, down goes the economy......again. Funny every one complains about oil at 100 dollars a barrel (except me I want 120 oil) but are paying about 400 dollars a barrel for H20 and and pump it all over their lawns and cars and ground ??????? ?